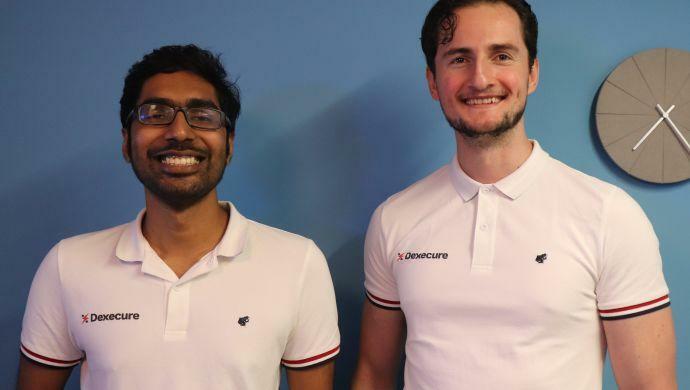 Singapore-based software-as-a-service (SaaS) startup Dexecure today announced that it has raised a S$1 million (US$762,000) seed funding round by Cocoon Capital and Walden International. The Dexecure platform aims to help businesses speed up their mobile and desktop sites by 40 per cent using the startup’s unique algorithm, with the goal to help businesses increase customer engagement and conversion by having faster sites. It also reduced the bandwidth needed per page and integrates with enterprise-grade content delivery networks (CDNs) in the market. In addition to that, the platform’s dashboard also enables site owners to measure the impact of increasing website performance on user engagement and sales, by integrating tools such as Google Analytics. “With browsers coming up with new features every single month, it is almost impossible for website developers to keep track and change their code to optimise for performance. At Dexecure, we have a team of developers that monitor these changes and accelerate websites so that users anywhere can enjoy a fast browsing experience,” Dexecure Founder and CEO Inian Parameshwaran explained in a press statement. The startup plans to use the new funding to support talent acquisition, particularly in its development team. It is also looking forward to launch its next suite of products. This year, the startup also plans to expand sales and marketing efforts, and focus on customer expansion. “We have already partnered with Amazon Web Services and some design agencies and we are looking to bring more such partners on board this year. We plan to on-board many more bigger enterprise clients on to our platform, starting off with Southeast Asia and expanding to US and Europe towards the end of the year,” Parameshwaran explained. The platform itself was based on a three-year research at the National University of Singapore (NUS) in collaboration with Anquan Capital. Launched in 2016, Dexecure claimed to have served 568 million requests and save 6.8 terabytes of data for its customers within the last four months. In the same year, the startup participated in the Y Combinator Fellowship Program, becoming the first Singapore startup to do so. It was one of the six Echelon Asia TOP 100 Fight Club qualifiers in 2017. Prior to the current funding round, the startup secured a US$20,000 grant from Y Combinator. It had also bootstrapped with the support from Anquan Capital. The post Singapore’s Dexecure raises US$762K in seed funding to help speed up sites by 40% appeared first on e27.